For the consumer short on time and money, FCAA suggests borrowing ideas from these well-known holiday figures. "Consumers need a plan to keep from spending more than they can afford," said Kevin Weeks, FCAA President. With just days left in the holiday shopping season, those who still have shopping to do may be feeling the pressure. The Financial Counseling Association of America encourages consumers to take a few steps to avoid spending their way into New Year debt and use holiday figures as their guide. Santa Claus -- The first thing you will need is a list. Like Santa, once you make your list, check it twice. Include each person you will buy for, a gift idea and dollar amount. To save time and money, comparison shop by checking newspaper, radio, television and internet advertising for items on your list. Santa’s Elves -- Recruit some “I finished my shopping in July” friends as your elves. 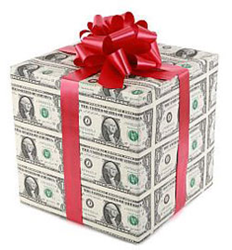 Divide your list among your helpers and send them off with the cash to buy your gifts. This tactic helps you resist the temptation to spend more than you planned or to use credit for gifts. The Wise Men – Consider giving your gifts after the big day, just like the Wise Men. Shop for your gifts during the deep sales period after Christmas. This will allow you to take advantage of after-holiday sales, save some money and give your loved ones something to look forward to. Service Merchants -- Become your own merchant and give the gift of service, which will cost you little but time in the New Year. Offer to babysit a nephew, dog-walk your elderly aunt’s beagle, clean out your parents’ garage, or wash your neighbor’s car. You’ll have no checks to write, crowds to fight or extra debt to worry about. About FCAA: The Financial Counseling Association of America was founded in 1993 as the Association of Independent Consumer Credit Counseling Agencies. FCAA is a national membership organization established to promote quality and professional delivery of financial counseling services. FCAA and its members are focused on financial education, efficient processes and advanced technology to best serve consumers. FCAA members are independent nonprofit agencies that advocate for debtors and annually counsel more than 600,000 consumers. Visit http://www.fcaa.org for more information.